Congratulations on featuring in last weekend’s Sunday Times guide. We have drafted a template blog post for you to announce your achievement (if you haven’t done one already). “On Sunday 10th April the Sunday Times published their first supplement listing the Top 250 IFAs in the UK based on reviews on the independent consumer ratings website VouchedFor.co.uk. We are proud, but not at all surprised, to say that Brian Kerr was featured. To be included Brian was highly recommended by 42 of his clients. All had rated his services over 4 stars out of 5, which is a fantastic achievement. 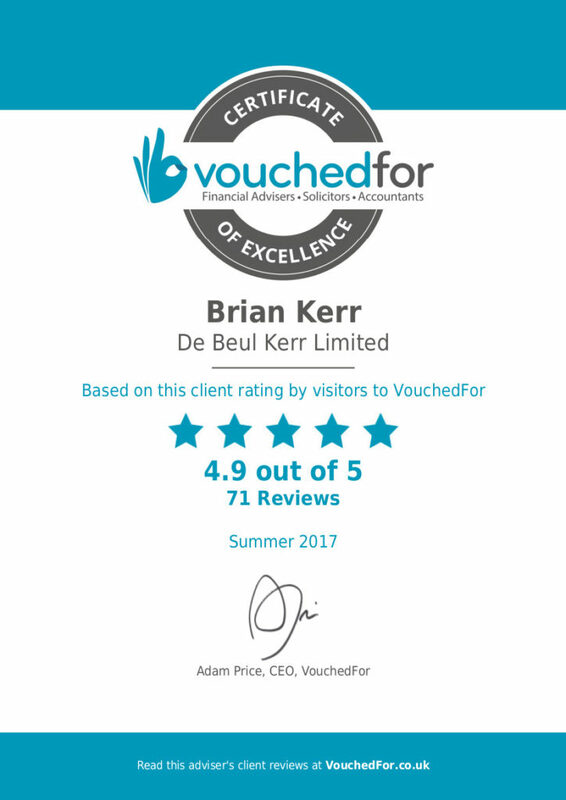 We’d like to thank all of the clients who took the time to share their positive feedback on VouchedFor.co.uk. Comments Adam Price, Founder of VouchedFor.co.uk: “At VouchedFor we’re passionate about helping people find great financial and legal advice. At certain points in life the majority of us would benefit from expert help with complex issues such as pension planning, securing a mortgage or for advice on a legal issue. Listing professionals alongside verified reviews from their existing clients makes it easy to find a respected and trusted expert like Brian to help. We would like to congratulate Brian on being one of the Top 250 – it’s a great endorsement of the service Brian provides. Have a great weekend, and don’t forget to look out for our TV ad next week!